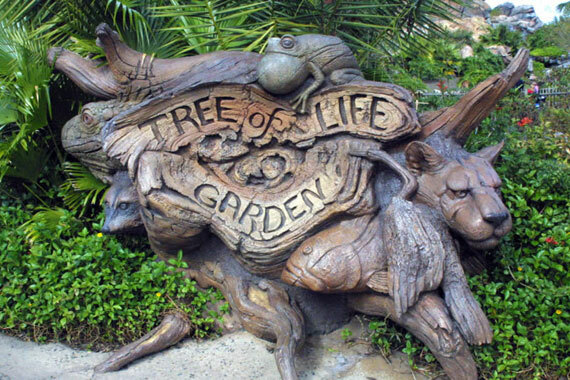 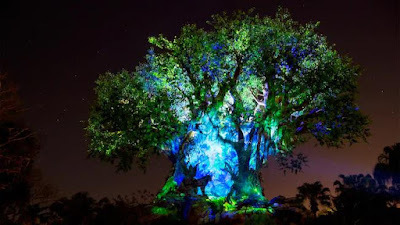 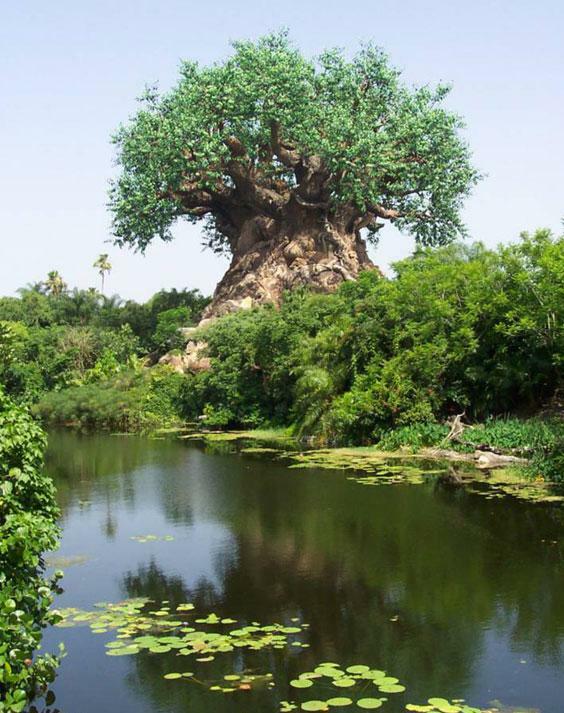 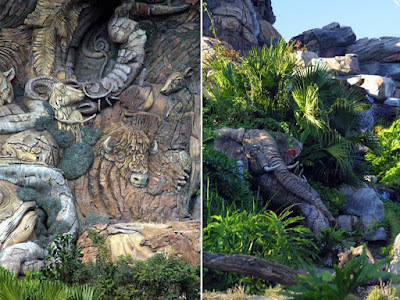 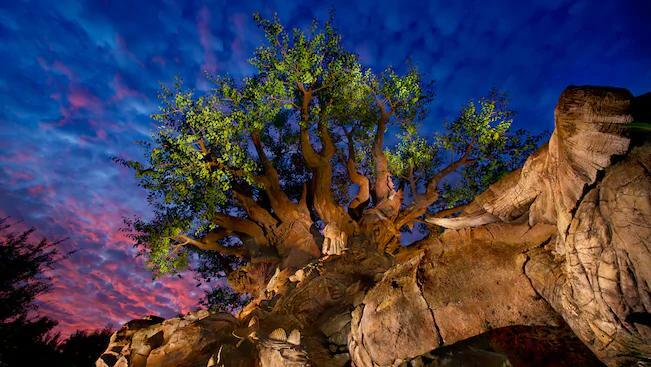 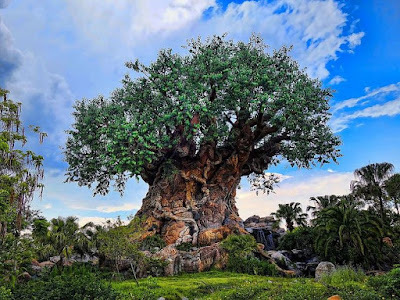 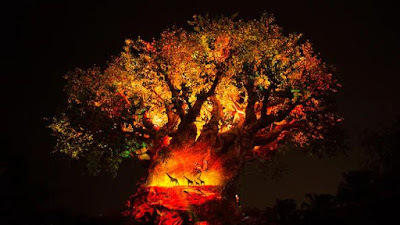 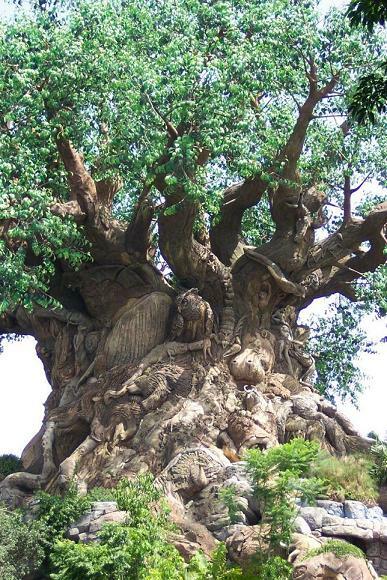 The Tree of Life is a 145-foot sculpture of a baobab tree at Disney's Animal Kingdom theme park at the Walt Disney World Resort in Florida. 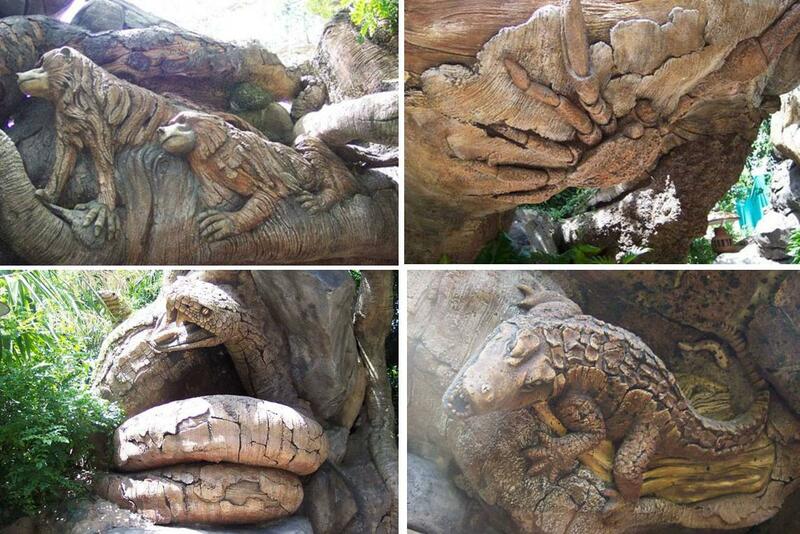 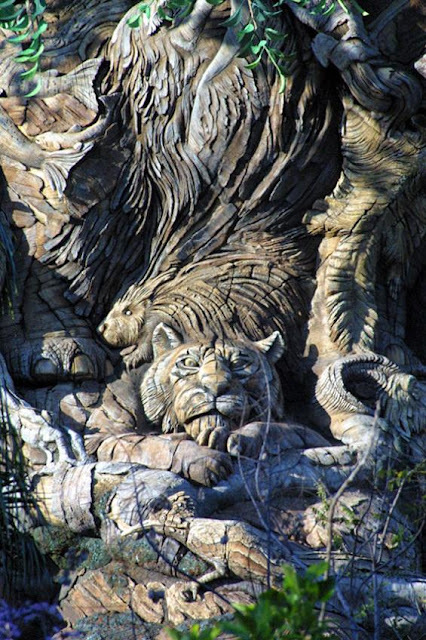 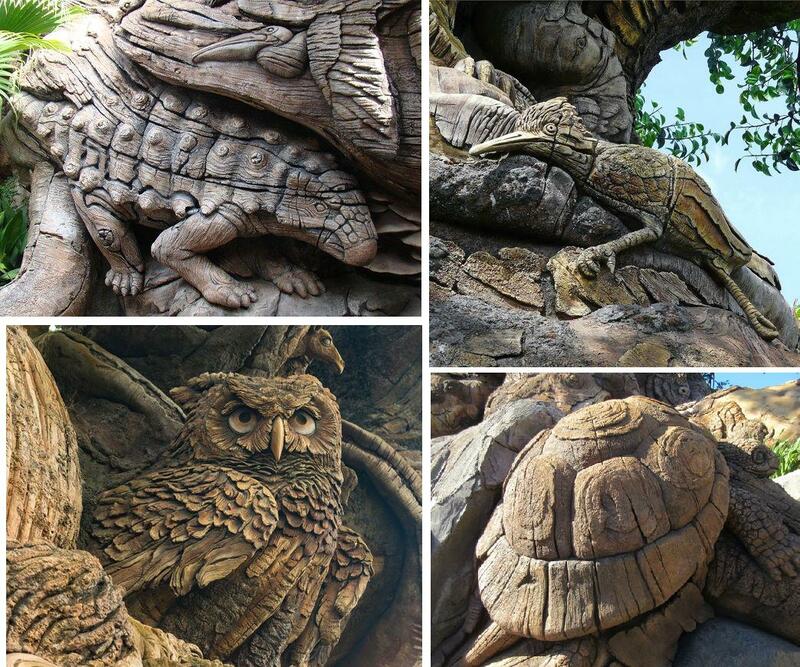 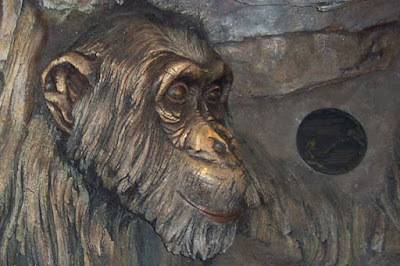 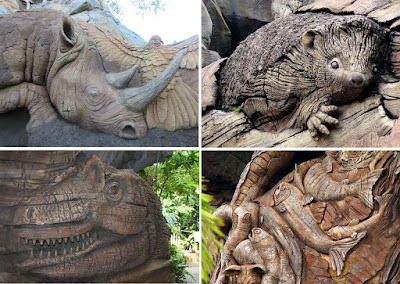 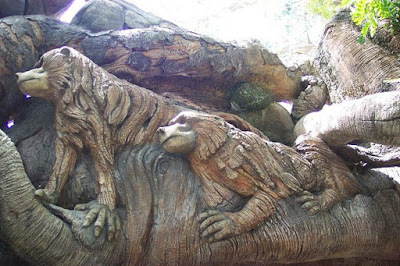 This 50-foot wide artificial tree features 325 meticulously detailed animal carvings of existing and extinct animal species throughout its trunk, surrounding roots and outstretched branches. 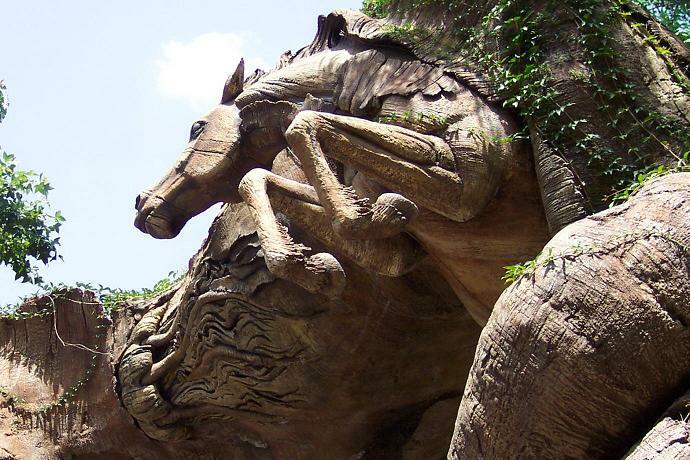 What more, at its interior base is a 428-seat theater.